The name of this hat comes from the young Egyptian King Amen-em-hat III, the last great ruler of the Middle Kingdom. You can read more about him here. I really needed an extra long, tight fitting hat for when I wear my hair up. I have hats that are big enough to accomodate the hair, but none that are stable enough to keep their shape and actually stay on my head. Then, I got a request from my cousin, Paletza, if I could make a hat with those same characteristics I'd been struggling to achieve. Pattern is available in the shop. 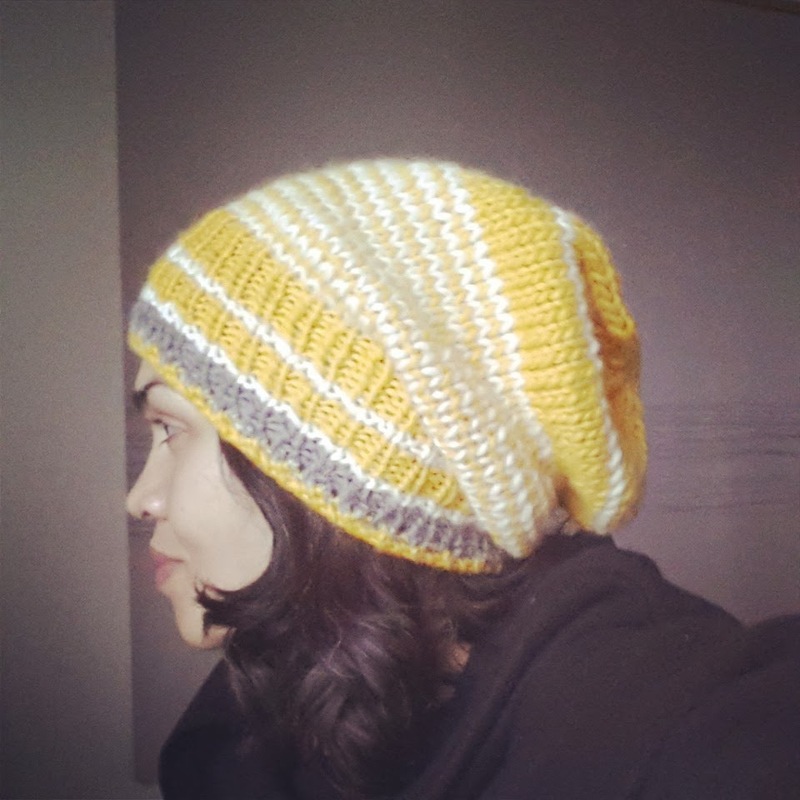 The pattern is for a single colour hat. As this was an experiment, I used scraps of yarn I had left over from other projects. I imagine it'll look much better in darker, more regal colours. I'll post more pictures of any subsequent versions. 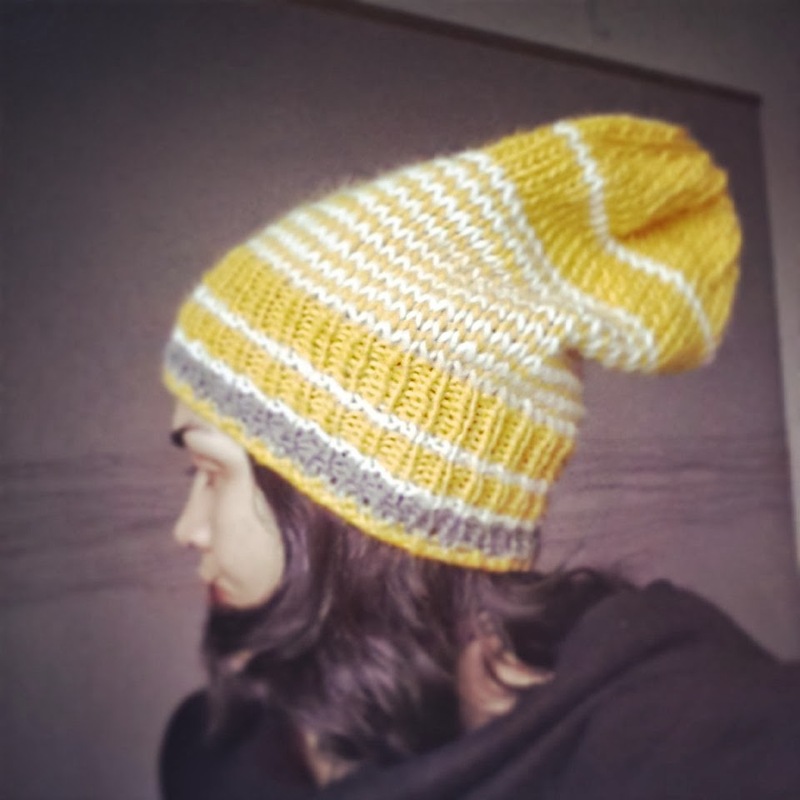 I decided to make this on smaller gauge needles, to get the firmness, and just kept knitting until it looked much longer than anything I'd usually knit. One issue was the tightness of the rim. 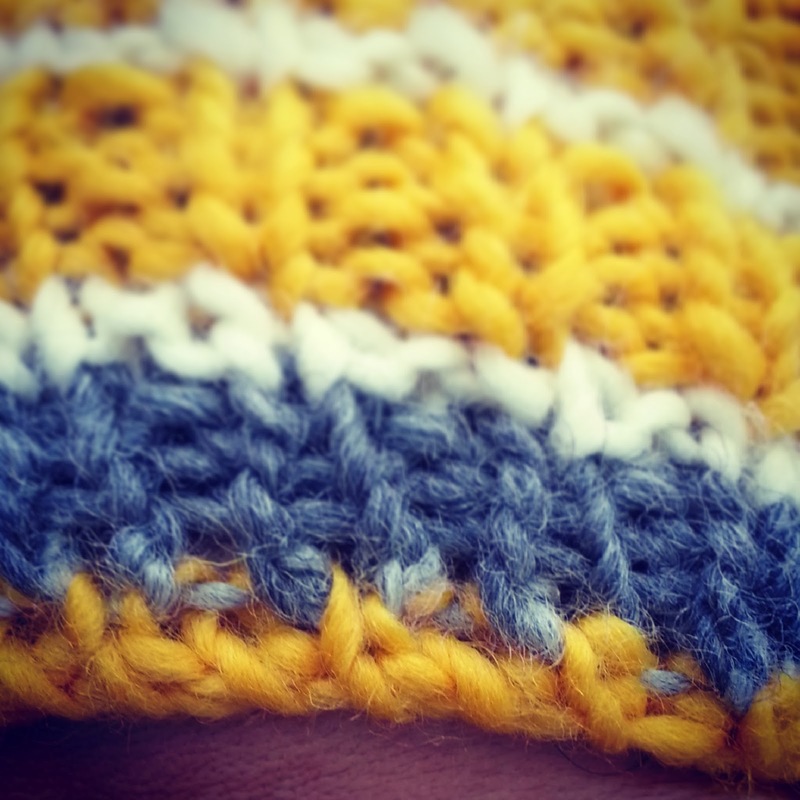 I cast on using the Chinese Waitress Cast On and 4mm needles, which was a mistake. although the rib was perfectly snug and did its job admirably, the rim was far too tight and had to be unpicked. It was then a case of trial and error finding a suitable cast off method that was both visually appealing and stretchy enough. I used a larger gauge needle (6mm) the Russian Bind Off, demonstrated here, by Staci Perry of VeryPink.com. To avoid having to do this, next cast on I'll be aware of my tension and use 6mm needles.